Since this is a library food blog, I like to find recipes that will connect to a book or to reading in general. So this month, to celebrate the 150th anniversary of Lewis Carroll’s Alice’s Adventures in Wonderland, I decided to read this childhood favorite again in the hopes of finding culinary inspiration. 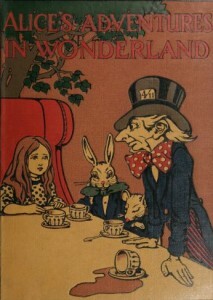 The story begins with Alice half-dozing outside on a hot summer day as her older sister reads a book with “no pictures or conversations in it.” As her mind wanders, she enters another world where animals talk, playing card soldiers double as croquet arches, and a Queen randomly orders executions for trivial infractions. 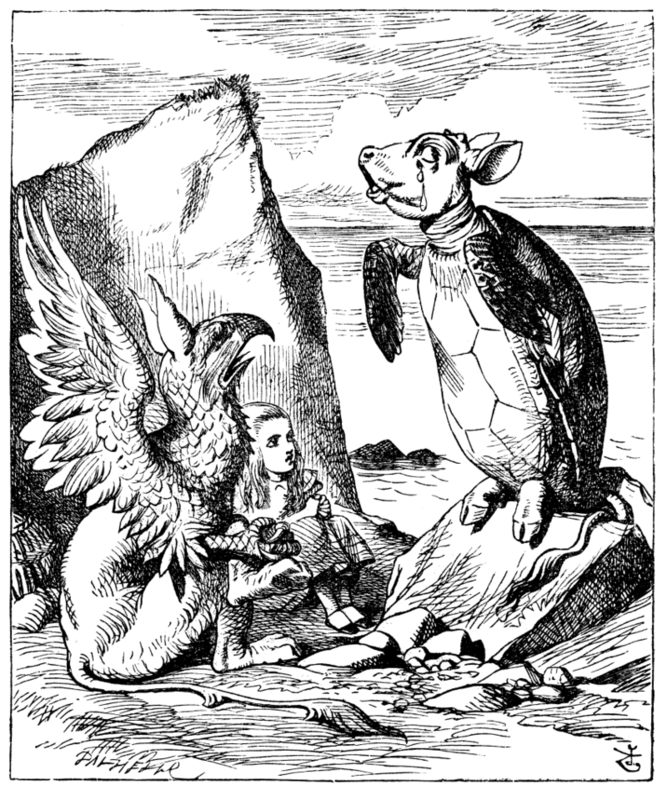 But it’s the Mock Turtle who gets my attention. He goes to school, sings, dances and plays games. 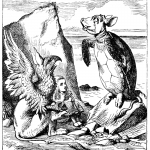 We learn of the sad Mock Turtle’s schooling in chapter 9 and he performs the Lobster Quadrille in chapter 10. Both chapters are filled with songs, puns and word play. I’m not sure if it was the Queen’s mention of Mock Turtle Soup or if it was the Turtle Soup song that inspired me to make soup. 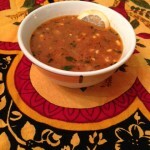 And there was no doubt in my mind that it would be the mock version of turtle soup. The ingredients would be easier to find and cheaper than using real turtle. That, combined with the happy childhood memories of finding cute little turtles near Fern Hill Lake, prevented me from considering turtle meat. Instead of making the traditional Victorian mock turtle soup, which calls for calf’s head and heels, I adapted a Louisianan recipe from the In a While, Crocodile cook book that had a little more kick to it. 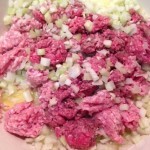 In addition to ground beef, I added ground veal, as a nod to the traditional calf ingredient. 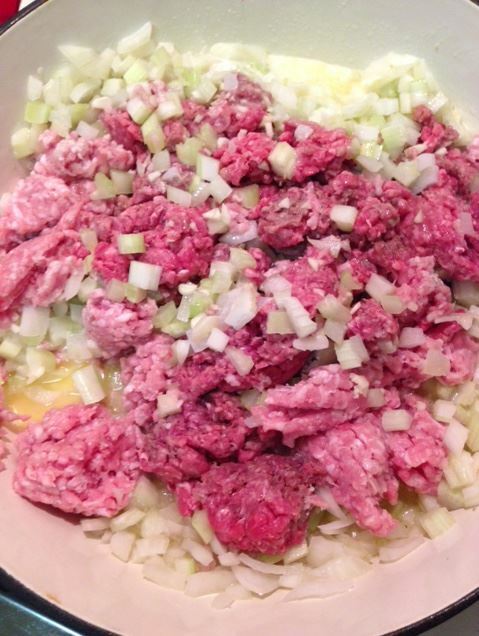 Saute the meat, celery, garlic, and onion in butter until meat is brown and veggies are translucent. Add to the slow cooker (6 quart or larger). Add tomato puree, chicken broth, beef broth, flour mixture, Worcestershire sauce, ketchup, hot sauce, bay leaves, thyme, salt, and pepper to the slow cooker. Stir. Cook on low heat for 3 ½ hours. Add lemon juice, parsley, and eggs. Stir well and cook for another 30 minutes. If desired, skim and discard fat from top of soup. Immediately before serving, remove bay leaves, add sherry to taste, and garnish individual bowls with lemon slices. Enjoy with buttered bread. Food blog by Luisa Cywinski, editorial coordinator on the Communication & Service Promotion team, and team leader, Access Services team. 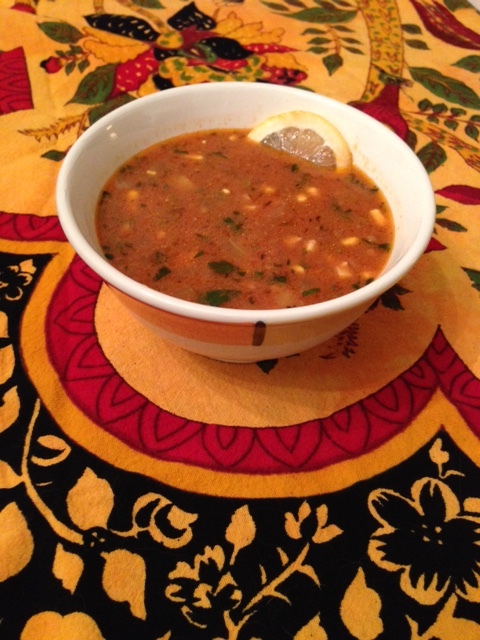 Mock Turtle Soup recipe adapted from In a While, Crocodile: New Orleans Slow Cooker Recipes by Patrice Keller Kononchek and Lauren Malone Keller, © 2014 by Patrice Keller Kononchek and Lauren Malone Keller, used by permission of the publisher, Pelican Publishing Company, Inc. Thanks to Megan Quigley for sharing the news that “a captivating exhibition” and the original manuscript of Alice’s Adventures in Wonderland will be returning to the Rosenbach in Philadelphia this fall!